While large companies can use HR-targeted video collaboration solutions to connect remote offices and workers, video also benefits small- and medium-sized businesses to cut costs, improve outreach and motivate employees to achieve strategic business goals. Human resources departments are now major video collaboration adopters. While many HR departments have taken advantage of the technology for recruiting and hiring purposes, they represent a value-producing opportunity for other HR functions as well. Last year was a lucrative one for HR technology: The industry niche gained over $2 billion in investment capital. In 2016 and beyond, video collaboration and other key technology assets will likely play a larger role. Managing employee relations and engagement. Satisfied employees are more likely to perform better, file fewer complaints, and stay engaged with company missions. Since HR departments bridge the gap between the human experience and the need for every company to drive business outcomes, video collaboration tools take that connection to the next level—eliminating communication barriers and offering opportunities for seamless conversation. Through video technology, HR professionals can better resolve conflict, hold meaningful dialogue with local and remote employees. In fact, 87 percent of remote workers say video conferencing allows them to feel more connected to their colleagues and identify areas for policy and culture improvement. Complying with safety regulations. Overseeing labor and employment regulatory compliance is one of HR’s most important roles. Video collaboration tools allow companies to identify and resolve safety violations from remote locations, train employees on safety protocols, and easily access large groups of employees with an interactive seminar—without ever leaving the corporate office. Improving benefits education. Only 17 percent of employees understand total annual health care costs, and nine percent don’t clearly understand annual deductible costs – presenting a valuable opportunity for education. With video collaboration tools, HR professionals can improve their benefits education programs—holding them as often as needed to keep up with the changing benefits landscape rather than just once or twice a year. Talent training and development. Many HR departments are tasked with orientation, ongoing trainings, professional development, and performance evaluations. 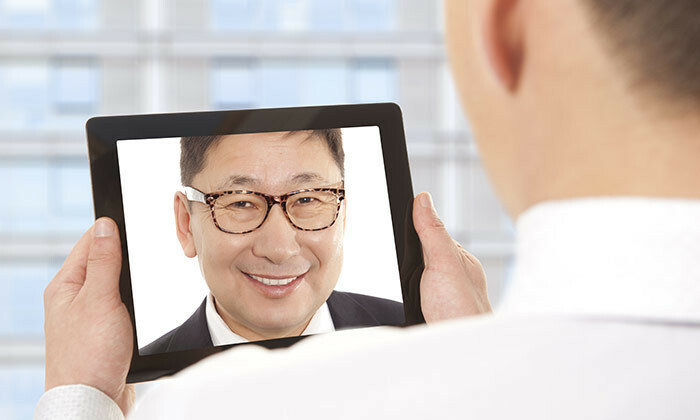 Video conferencing solutions allow them to expand their reach and create interactive materials around these tasks—ultimately improving retention rates and having a direct and measurable impact on results. The technology company SAP, for example, uses collaboration tools to eliminate annual performance reviews in favor of routine written or video check-ins. And, companies that rotate product lineups regularly can use videoconferencing solutions for easily developed live and on-demand courses. While large companies can use HR-targeted video collaboration solutions to connect remote offices and workers, video also benefits small- and medium-sized businesses. Companies that may not have had the ability to finance certain training programs and employee engagement endeavors can use video tools at a much lower cost and improve their competitive advantages. HR departments in financial institutions, retail chains, manufacturing facilities, and other industries can use video collaboration to cut costs, improve outreach, and motivate employees to achieve strategic business goals. Video tech is transforming the ways companies teach and empower their employees, and it’s only the beginning—a recent Transparency Market Research study projects video conferencing equipment and services will grow at a CAGR of 9.36 percent between 2014 and 2020. With all that HR departments can already do with video collaboration today, this tech niche is poised to benefit businesses and employees for years to come.